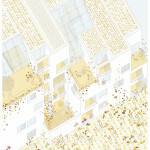 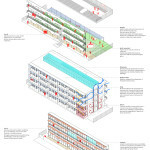 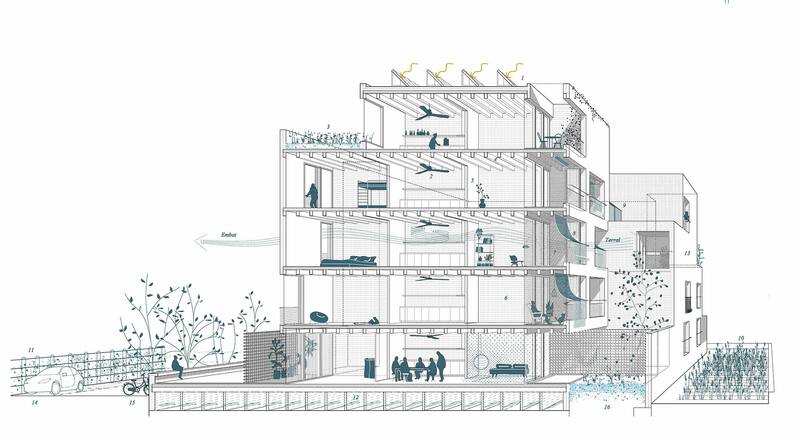 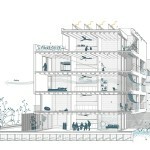 Detail of the winning projects of two ideas competition at preliminary plan driven by Institut Balear d’Habitatge (IBAVI) to build two social buildings in Ibiza as per both Life Reusing Posidonia building criteria and technique. 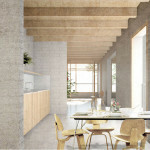 Special mention projects are detailed in Spanish and Catalan in our website. 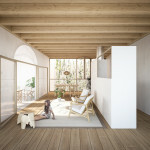 “For the typological innovation linked to the structure based on 21m deep linear load-bearing walls and wooden slabs, which include rooms, communication centers and 3 courtyards with greenhouses that work like solar chimney, which guarantee climate control and we believe that it can become an example in terms of environmental comfort and energy efficiency”. 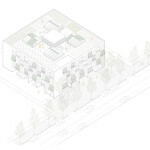 Authors: OIKOSVIA ARQUITECTURA SCCL Integrated by the architects: Jaume Alcover Sanchís, Manuel Ortíz Alba, Jorge Urbano Salido, Eduard Suñán Pons, Marc Edo Cauces, Ferran Pulido Roca. 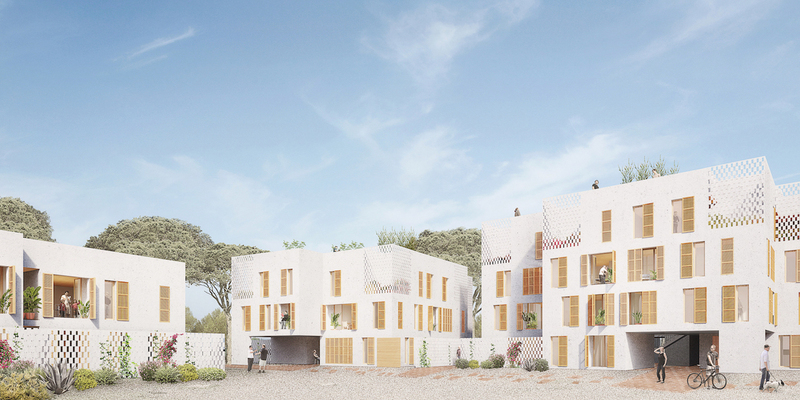 The jury appreciates the simplicity of approach and the distributive solution based on the deformation of the cargo wall in the form of I, U or S, which allows all types of project. 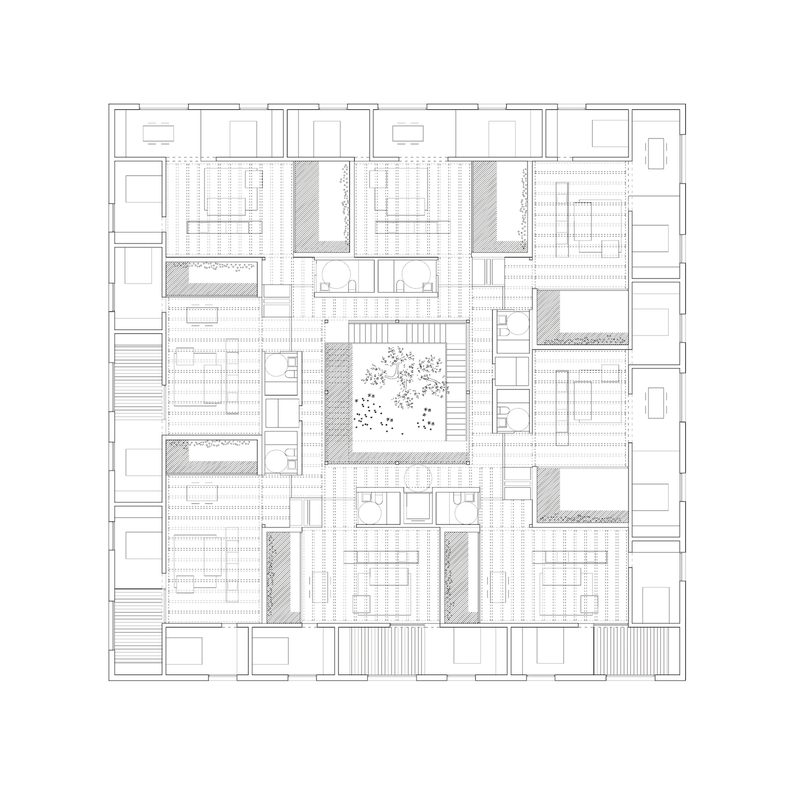 The jury highlights “the grain and scale of the volume, which organizes spaces of friendly size, which can remind an rural Ibiza town and links it to the adjacent agricultural crop”. 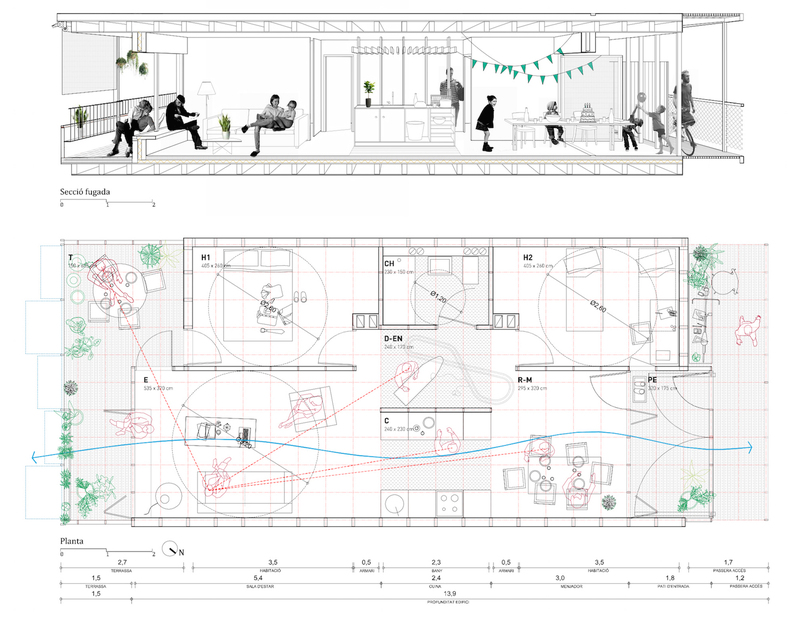 Authors: Adrià Guardiet Llotge and Sandra Torres Molina. 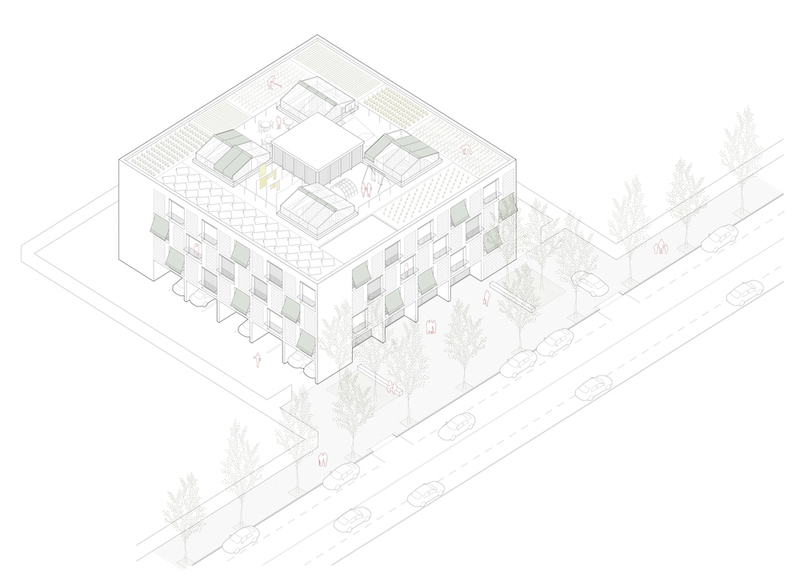 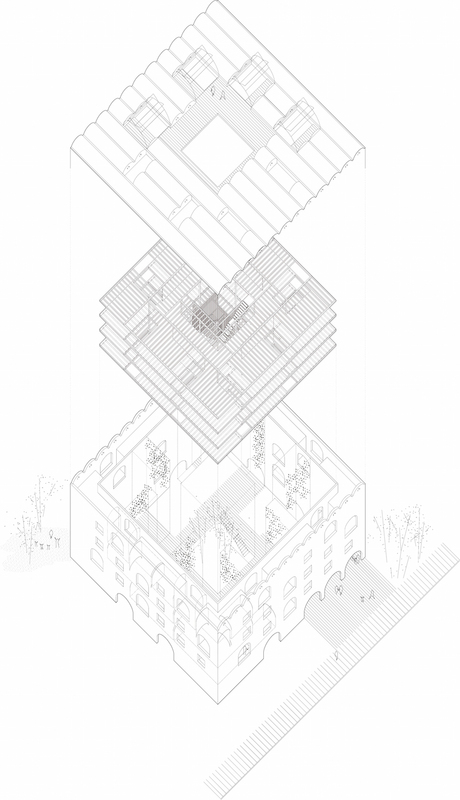 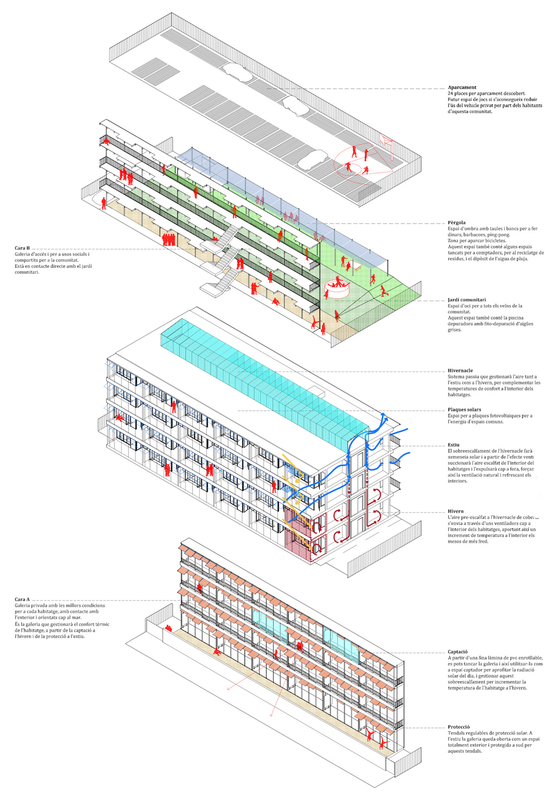 “For the innovation and access economy of the typology, organized with load-bearing walls around a single core of central stairs and 4 courtyards with mobile greenhouses. 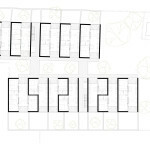 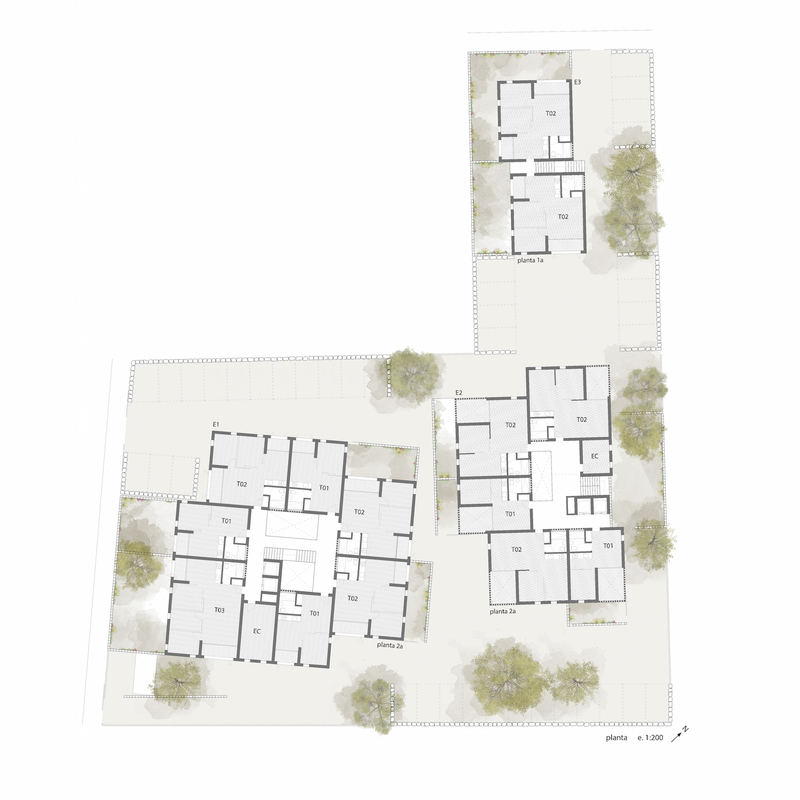 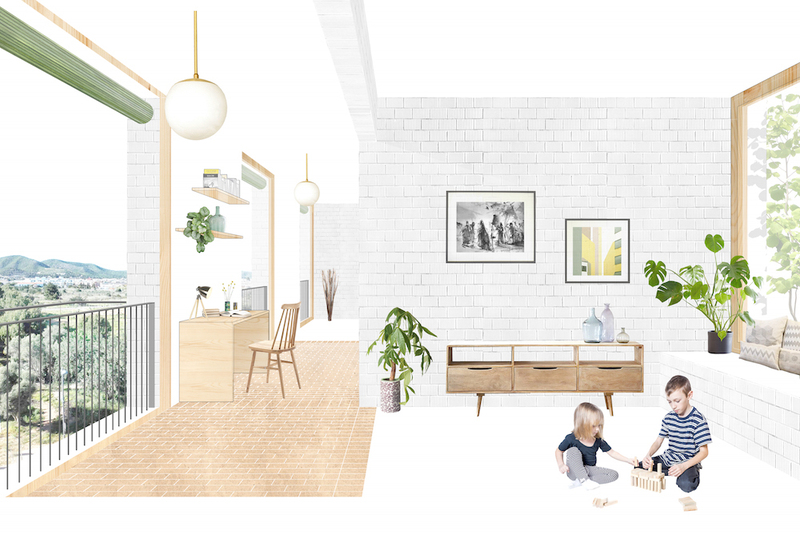 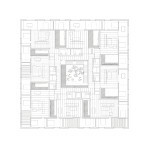 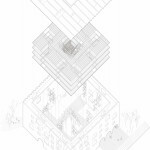 The 8 homes for landing, consisting of cells of similar size of about 20m2 with living programs or the dormitory + greenhouse package, constitute an experimental but balanced proposal in all aspects of the project”. 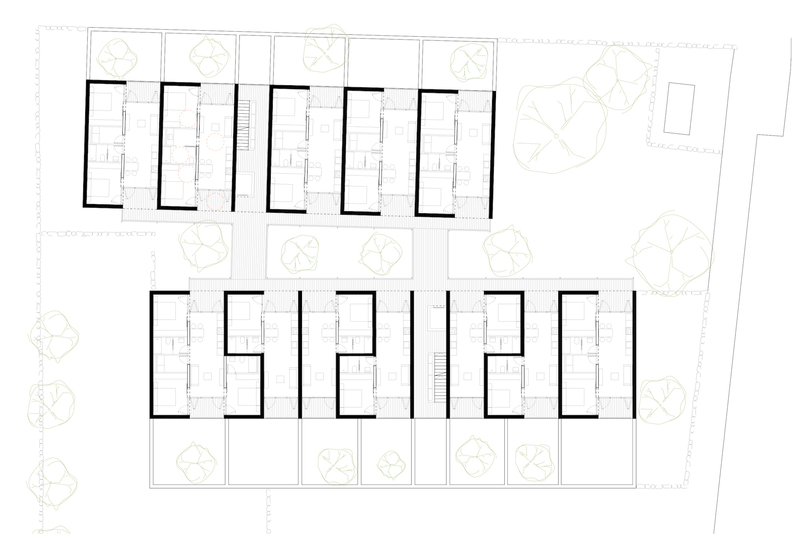 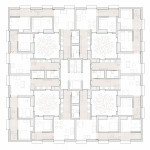 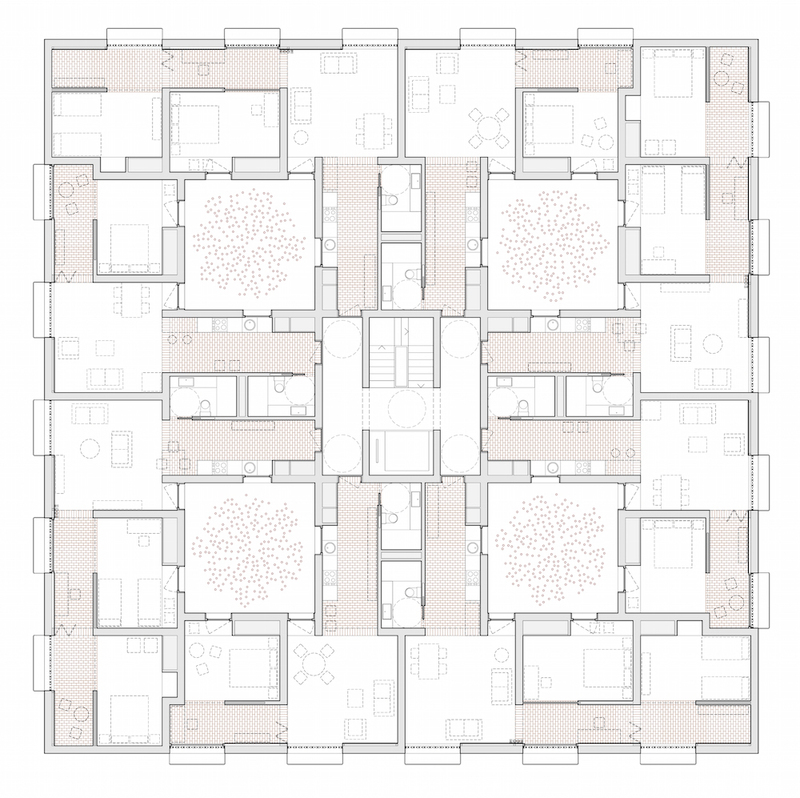 Authors: Nug Architects scp Integrated by the architects: Amadeu Santacana and Umberto Viotto. 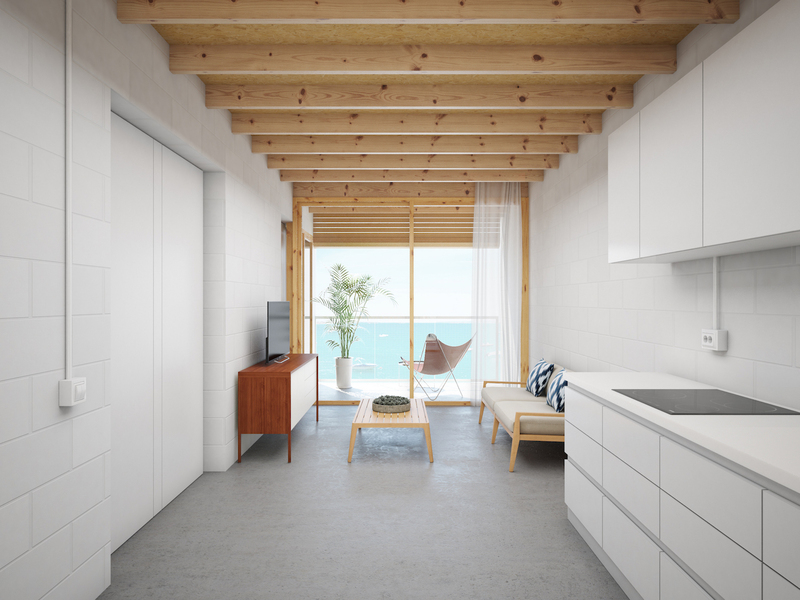 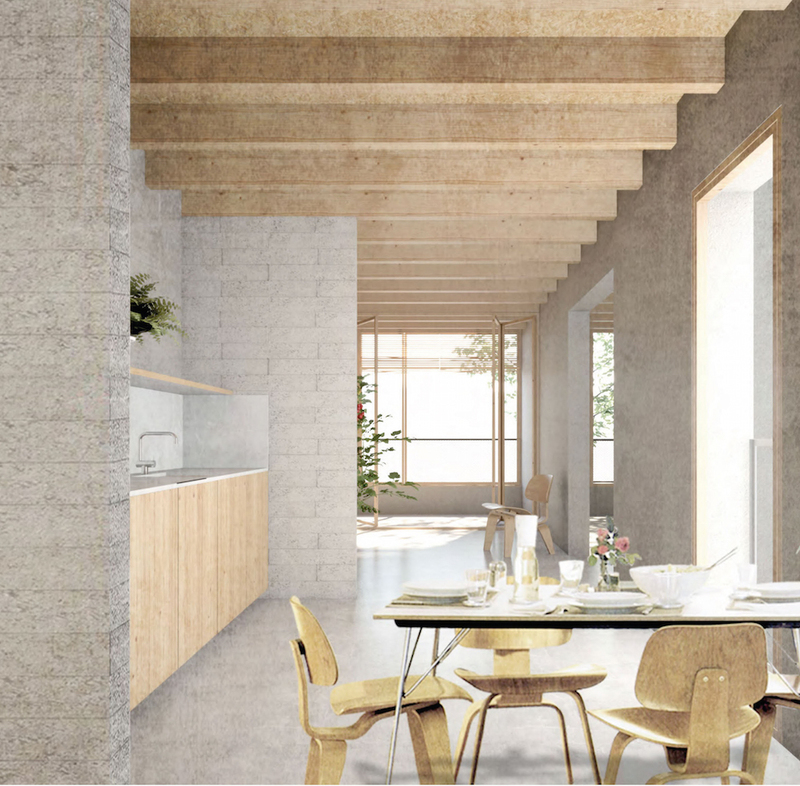 The jury values ​​”the typological innovation of the home from the placement of the free kitchen at the center, and the simplicity and good climatic functioning of the proposal that is oriented to the embat and has all the mechanisms bioclimatic needed”. 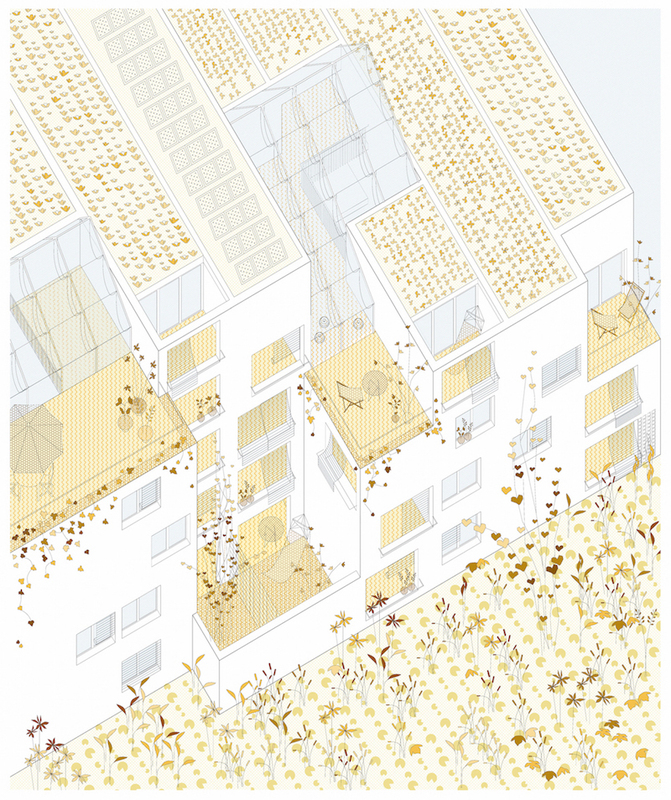 Authors: Maria Giramé i Aumatell, Pau Bajet Mena, Josep Ferrando Bramona. The jury emphasizes “the coherence of the structural, climatic and programmatic approach of the proposal organized around a central patio and 8 solar chimney, with a surprising mixed wooden structure in the center and a perimeter range of ceramic gun vaults to offer thermal inertia to cool the hot air in summer. 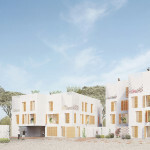 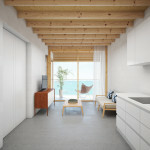 The resulting dwellings are of great spatial and thermal quality and enjoy the transparency and permeability of the solar / kitchen / dining-terrace-solar- chimney package”.